As I look through my list of books read so far in 2014, I have to face a harsh truth. I've been unfaithful to my first love, British mysteries and police procedurals. Well, I'm going to remedy that this summer––and it's going to be a cinch. When I started reading mysteries back in the 1970s, I got my books used at Powell's on 57th Street in the Hyde Park neighborhood in Chicago. I grabbed all I could of books by Nicholas Blake, Edmund Crispin, Dorothy L. Sayers, Patricia Wentworth, Peter Lovesey, Margery Allingham, Reginald Hill, Josephine Tey, Ngaio Marsh, Michael Innes, Michael Gilbert, Delano Ames, Colin Watson, Patricia Moyes, and Catherine Aird. It's hard to believe, but Aird started her Chronicles of Calleshire series almost 50 years ago. Despite the passage of all that time, Detective Inspector Sloan hasn't aged, and his sidekick, Detective Constable Crosby is still wet behind the ears. 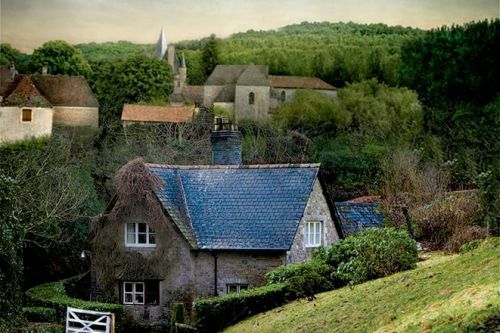 I'm fine with everything staying just the same in DI Sloan's world in the fictional village of Berebury. And with Aird, I know I'll get a traditional village mystery/police procedural, with a clever puzzle, low violence and witty writing. 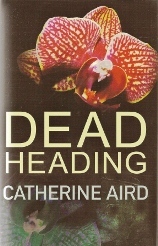 In the 23rd novel in the series, Dead Heading (Minotaur, June 17, 2014), Sloan and Crosby have two mysteries to solve, and as they get on with their investigations, Sloan begins to think they're related. The first crime is the cold-blooded murder of all of Jack Haines's young orchids by someone who broke into the greenhouse, cut the temperature alarm and let in the frigid air. The second puzzle is the disappearance of Miss Osgathorpe from her cottage, which has been ransacked. Settle in, ring for tea (maybe iced tea, given the season), and enjoy! 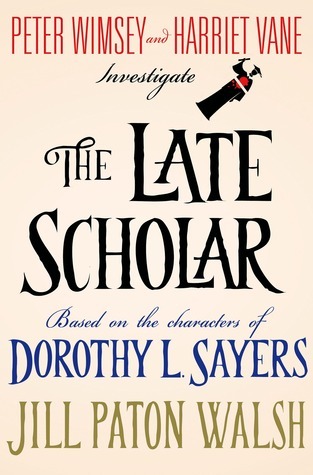 One British mystery I definitely won't be reading this summer is Jill Paton Walsh's The Late Scholar: Peter Wimsey and Harriet Vane Investigate (Minotaur, June 17, 2014)––but that's only because I've already had the pleasure of reading an advance review copy. This is the fourth in Jill Paton Walsh's continuation of Dorothy L. Sayers's series, and I think it's the most assured of the four. I'll be posting my complete review of the book in a couple of weeks, but this is a preview post and that's what I'll give you. It's the 1950s, and Peter and Harriet's boys are almost ready to leave the nest. Lord Peter has become the Duke of Denver, which he never expected. Among the accoutrements of the title is the position of "Visitor" to Saint Severin's College at Oxford. As any Dorothy L. Sayers reader knows, Peter and Harriet are both Oxford graduates, and that is where Harriet finally agreed to marry Peter. In The Late Scholar, they will return to Oxford when Saint Severin's calls on its Visitor to vote in a controversy over whether they should sell an ancient manuscript and use the proceeds to buy some land. When several Saint Severin's dons become the targets of violence, Peter decides he should withhold his vote until he, Harriet and Bunter get to the bottom of the assaults. The 1930s was the Golden Age of mystery writing. I always think it's also a good era to set a novel because it's that time in between the wars when there was a sense of being on a knife edge and a dangerous future looming. I can easily understand why author Nicola Upson decided to set her mystery novels in the 1930s, and to use Golden Age author Josephine Tey as her amateur sleuth. The series began in 2008 with An Expert in Murder, set in the theater world of London, where Josephine Tey was also a force. That book seemed to me to be very much in the Golden Age amateur sleuth mode, but since then, Upson has turned moodier and used some darker themes, as in her third book, Two For Sorrow, whose plot involved "baby farming" and child murder. I started that one, but just couldn't read it because of the subject. In the upcoming fifth book in the series, The Death of Lucy Kyte (Bourbon Street Books (HarperCollins), June 10, 2014), Upson heads into psychological suspense territory. Tey is surprised to inherit Red Barn Cottage from her godmother and goes off to Suffolk to see to her godmother's papers and belongings. Tey finds that her godmother has a collection of papers about the murder of Maria Marten, which took place over 100 years earlier at the Red Barn, for which the cottage is named. As Tey progresses with fixing up the cottage and looking into this famous old murder mystery, a feeling grows that something just isn't right in the cottage, and that the villagers know something they're not telling. Rennie Airth writes the Detective Inspector John Madden series. Airth's specialty is making his anxious readers wait. Most mystery authors seem to be under tremendous pressure to produce a book every year, but Airth takes his time. Though he started the series in 1999, with the multiple-award-nominated River of Darkness, his latest, The Reckoning (Viking Adult, August 14, 2014) is only the fourth in the series. When the Madden series began, it was 1921, and Madden was a veteran of the Great War, emotionally scarred by his experiences in battle and by the deaths of his wife and child in the influenza pandemic. In the next book, The Blood-Dimmed Tide, we jump ahead all the way to 1932, and in the third, The Dead of Winter, it's 1944. At this rate, I was worried that in the fourth book poor Madden would be investigating crimes while using a walker and a hearing aid. But whew, that's not the case. The Reckoning is set in 1947. Madden is happily retired, but he agrees when his old colleague, Billy Styles, asks for his help with a strange double murder case. Two men have been killed with the same gun, but that seems to be the only thing they have in common––other than that they appear to be unlikely murder victims. They are respectable men with no known enemies and they live a hundred miles apart. The only clue the investigators have to go on is that one of the victims, Mr. Gibson, was writing a letter concerning Madden shortly before his death. Madden has no memory of Gibson and must try to learn if the connection comes from his experiences in World War I, his years with Scotland Yard or elsewhere. When a third man is killed in the same way as the first two, it's clear the investigators must find the critical connection among the victims to prevent more killings. Airth has a gift for writing atmospheric stories with twisty and compelling plots. I have a feeling that he'll make the five-year wait since his last book worth it. A newer British crime writer, David Mark, is no slouch with the atmospherics either. Mark writes the Detective Sergeant Aector McAvoy series, set in the rundown port city of Hull in Yorkshire. There must be something in the water in Yorkshire that breeds mystery writers with a storytelling gift. Look at just a few names: Reginald Hill, Robert Barnard, Peter Robinson. What David Mark brings to the party is his own unique characters. Aector is a lumbering, fashion-challenged giant who looks like he could break a baddie in two, but inside he's a marshmallow who turns completely to goo around his young kids and his wife, Roisin. Roisin is tiny, but like a Derringer is tiny. They make an intensely passionate and loyal team at home. At work, a different kind of intensity is supplied by Aector's boss, the foul-mouthed ball-buster Trish Pharaoh. It can be hard to tell, what with the constant stream of insults, but she has a bit of a soft spot for Aector. 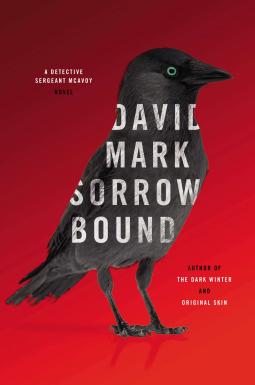 In the third McAvoy novel, Sorrow Bound (Blue Rider Press, July 3, 2014), it's a tormentingly hot and humid summer in Hull. The local drug gang is stepping up its activity and seems to have control over some members of the police force. A series of horribly brutal killings Aector is assigned to isn't helping his emotional health. Events hidden in the past threaten to come to light, and one mistake by Roisin puts her in danger. The strands of the plot tighten and tension builds as we wait for a storm to provide a break in the oppressive atmosphere. But when the storm comes, it's cataclysmic. The word is that his publishers hope this will be David Mark's breakthrough novel. I also hear that although this is the third in the series, you can read it as your first. It's still British if it's part of the old Empire, isn't it? Well, let's say it is, because Australia's Garry Disher has long been one of my favorite crime fiction writers. His Detective Inspector Hal Challis series, set outside Melbourne, should be required reading for anybody who likes police procedurals. I haven't read his Wyatt series, about a Melbourne thief, or his standalone books. 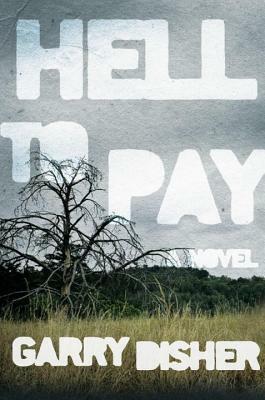 Disher's new standalone, Hell to Pay (Soho Crime, June 24, 2014), looks like a must-read, and its protagonist may sit halfway between Hal Challis and Wyatt. Paul Hirschhausen ("Hirsch"), has not only been busted down in rank at the city of Adelaide's police department, but the internal affairs coppers are looking to pin something on him, even if it's something they have to invent. Nobody likes a whistle-blower. Hirsch is reassigned to be the sole lawman in the wild, wild, west of Australia's bush country; specifically, the one-traffic-light town of Tiverton. Tiverton's populace of low-lifes keeps Hirsch on the go, but things really heat up when Hirsch finds a threatening message in his mailbox in the form of a single bullet, and also comes upon the body of a young woman by the side of the side of the road. Published last year in Australia under the title Bitter Wash Road, it got enthusiastically approving reviews and looks like another Garry Disher winner. Summer would not be complete for me without a book from one of my favorite crime writers, Louise Penny. (Yes, she's Canadian, not British, but I'm counting Canada as British too, since it's also a former British colony. And just for purposes of this intro and no further, I'm conveniently ignoring that her books are set in francophone Québec.) Anyway, The Long Way Home (Minotaur, August 26, 2014) marks the publication of the 10th Armand Gamache/Three Pines novel. After the violent culmination of the long-simmering plot of the deep corruption within the Sûrèté du Québec, The Long Way Home is a turning point in the series. Gamache has retired to Three Pines, whose special magic he hopes will heal the wounds he suffered from his last years with the agency. His front porch time doesn't last long, though. Old friend and new neighbor Clara Morrow asks for his help finding her estranged husband, Peter. The couple had agreed to separate for one year, but on the one-year anniversary of the separation, he didn't return as he'd promised. Now, Armand, Clara and Three Pines's favorite book-seller, Myrna Landers, go on the road to find Peter. The state of Peter's soul has been in decline since Clara's artistic career outstripped his in recognition and success, so there's good reason to fear for him. The trio of searchers goes further and further away from the haven of Three Pines to find him, reaching the desolate St. Lawerence River area known as the land God gave to Cain. 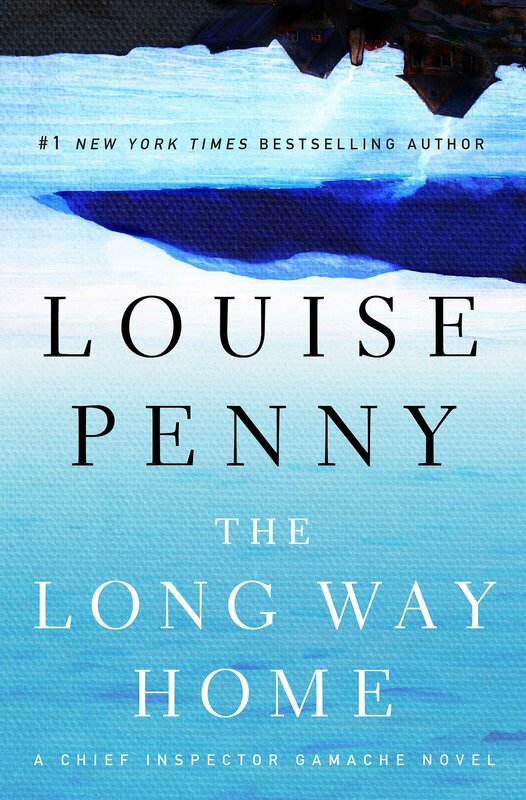 There is nobody like Louise Penny for insightfully exploring the human heart and mind with a mix of humor, sadness, regret and hope. My expectations are high and anticipation has me anxious for the publication date. Tomorrow, Della will be back with another tantalizing set of recommendations.